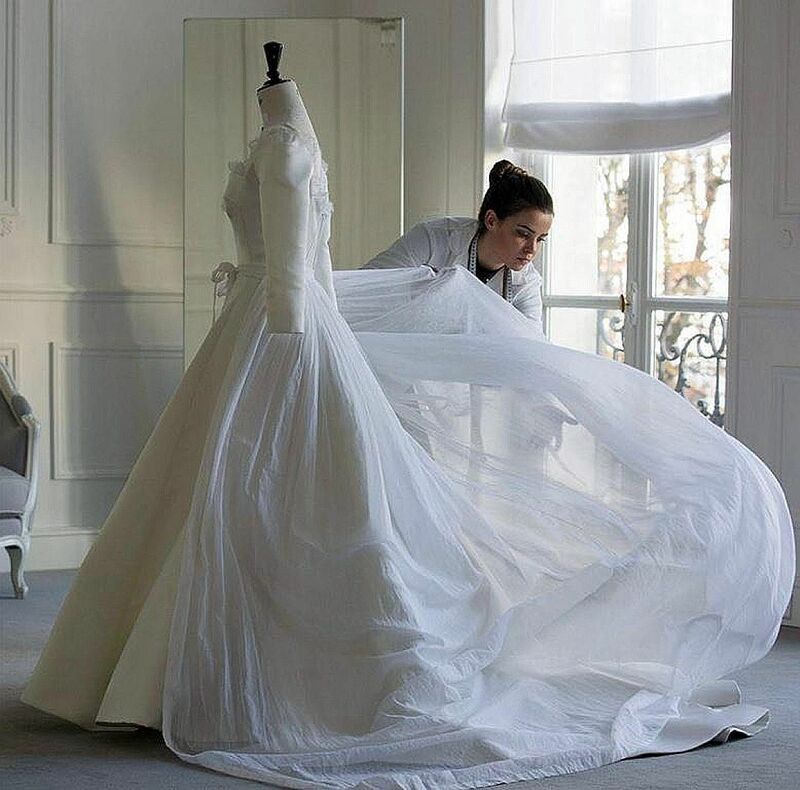 French fashion house Christian Dior has revealed making-of photos of South Korean actress Song Hye Kyo's wedding dress. The sketch and a final version of the dress were posted on Instagram last Saturday. The dress, featuring a square neckline and a slit down the front, was originally a black velvet piece from the brand's autumn/winter collection. The fashion house adapted that dress and gave it to Song, whose wedding with actor Song Joong Ki took place last Tuesday.